The Xplay has been Vivo’s flagship from the beginning and the Vivo XPlay 7 is the latest announced device. As we all may know Vivo’s premium line Xplay didn’t see an update last year, so it doesn’t come as a surprise when information regarding the XPlay 7 was leaked online, and every dedicated media outlet and fans of the phone maker rejoiced on the information. Although leak was big, the release date wasn’t leaked, and until the Chinese manufacturer makes an official announcement we are kept on the dark. The Vivo XPlay 7 comes with a screen resolution of 5.7 inches and 1440 x 2560 pixels and running with Android 7.1 Nougat, which is a little weird, giving the fact that the Xplay is the flagship from Vivo, their premium line of handsets, but, hopefully, an upgrade to Oreo will be made available. The XPlay is being powered by an Octa-Core 2.45 GHz and 6 GB RAM, the best thing is the battery, a 3500 mAh, which is a little lower from a top of the line device, but, that is something we know from Vivo. Moving forward to the cameras, the rear camera has a 16 MP resolution, multiple and familiar sensors are also available, light sensor, proximity sensor, compass, gyroscope, and accelerometer, it also comes with a fingerprint sensor, and for the gaming enthusiast it comes with an Adreno 540 GPU, it also comes with an internal memory of 128 GB but sadly there is no expandable storage. One thing that everyone is speculating with is that because it is equipped with a fingerprint sensor that uses Synaptic Clear ID optical sensor and those only work on OLED displays because they don’t need the backlighting like the ones on LCD displays do. So, that could mean a serious improvement on the Xplay line. 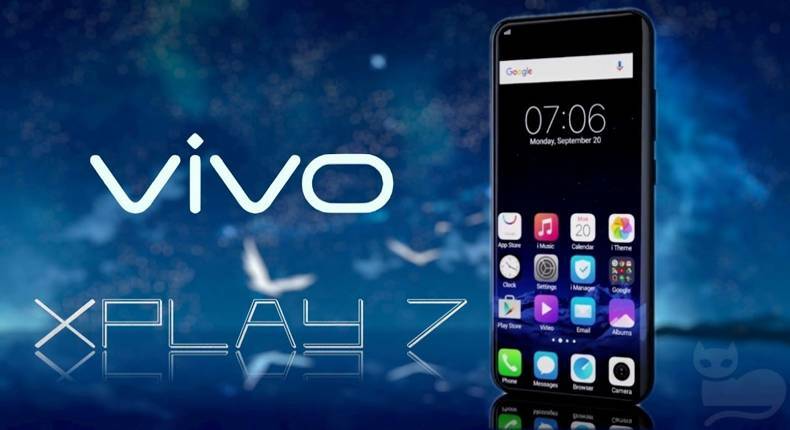 Because it happens to be Vivo premium high-end handset, the Xplay 7 is expected to also have a 4K resolution display, but in reality, the specs we have so far are just speculations and educated guess from experts, we all have to wait for official announcements from the Chinese phone maker regarding price, release date, and the official specs, as many sites have been reporting different configurations.